Designing and building a custom home or large scale renovation is often the culmination of a dream. It is exciting and fulfilling, but can also be confusing and overwhelming without the right guidance and support. That is why choosing a company that will be your partner as well as your builder is so important. 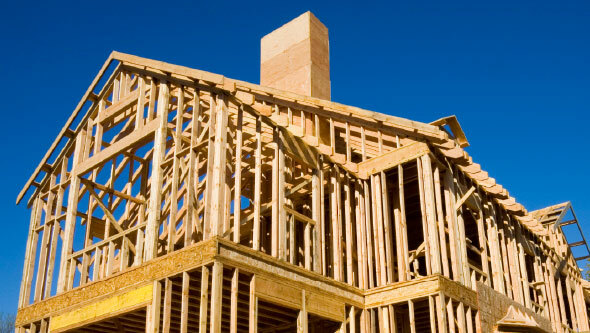 At BCN Homes, our goal is to make the construction experience pleasant and fulfilling for you and your family. BCN will be by your side every step of the way, guiding you, answering your questions, and managing the entire project to stay on schedule and on budget. The following information will introduce you to the key phases of the design build process, whether you are planning an extensive renovation, or building a brand new home. Please remember; every project is unique! When you meet with BCN Homes, we will explain the process, timelines, and budget specific to your project in more detail. The Consultation Phase is where we get to know each other. BCN wants to have a thorough understanding of your objectives in building a new house or renovation. We ask our prospective clients to bring a “wish-list” to this meeting that identifies factors that are important to them about the house as well as other considerations that are important including school preferences, lot size and neighborhood. Once we have a general idea as to the overall project, the discussion moves toward the lot acquisition. This is an area BCN specializes in. Our in-depth market knowledge combined with an active pipeline of leads on properties before they go to market makes BCN Homes a turnkey solution for your new home. After this Initial Consultation meeting, BCN will be able to follow up with a preliminary timeline and estimate for the project cost. Once the property has been identified, BCN can provide you with a design contract for your new home. This agreement will summarize our understanding of the project goals and will provide an overall project budget and timeline. Upon contract execution, our team of in-house architects and design professionals will work with you to design a home that’s both beautiful and functional for the unique way your family lives. We will design interior floor plans and incorporate key design elements into the plans with your direction. House elevations and overall specifications will be defined. At the completion of this phase, BCN can provide a contract to you for the project. BCN Homes prepares and files all construction documents required for the construction during the Permitting and Preparation Phase. Our in-house architectural team communicates with local county officials and you to keep everyone informed of permit progress. BCN Homes welcomes the opportunity to customize each home we build with distinctive finishes and unique details. Our extensive customization program sets us apart from the competition. During the Permitting and Preparation Phase , you will work hand-in-hand with one of BCN Homes’ Client Services Managers and your assigned Project Manager to customize many aspects of your home and truly make it your own. BCN Homes will give you a project binder, including a detailed timeline for making all customization decisions, to help guide you through the entire selections process. It is extremely important for our clients to understand the timeline so all selections are made on a timely basis, ensuring the Construction Phase can begin without any delays. Areas of customization include the kitchen, bathrooms, lighting, exterior and interior color schemes, flooring, tile, home technology systems, built-in cabinetry, landscaping, and more. Visit our Customization Gallery to see many unique finishes our clients have designed and chosen working with our team. The Construction Phase is the culmination of many months of hard work designing the house and selecting the finishes, but at this point the work has only begun for BCN. Our talented Construction Managers will make sure that the construction process runs smoothly and will oversee that all finishing selections are incorporated in a seamless manner. We pride ourselves on building homes on schedule – but our success is driven in large part by our clients’ adhering to the selections timelines that BCN provides. Once construction is complete, BCN Homes will take you through your finished home for a personalized home demonstration walk-through. We want you to know how your home operates before we turn it over to you. Once you have moved in, we will reach out to collect feedback from you on how our team performed. It’s our goal to continue to improve our process and the service we offer to current and future BCN clients.